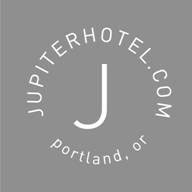 John Major Jenkins, author of Maya Cosmogenesis 2012 and Galactic Alignment: The Transformation of Consciousness According to Mayan, Egyptian, and Vedic Traditions, will be in Portland, Oregon for two days of events. May 11-12, 2007. To order tickets, you can pay with a check or money order. Or you can use Paypal to pay with a debit or credit card. You can request to receive paper tickets by mail, or can show your ID to pick up tickets at the door on the day of the presentation. See details after the flyer. 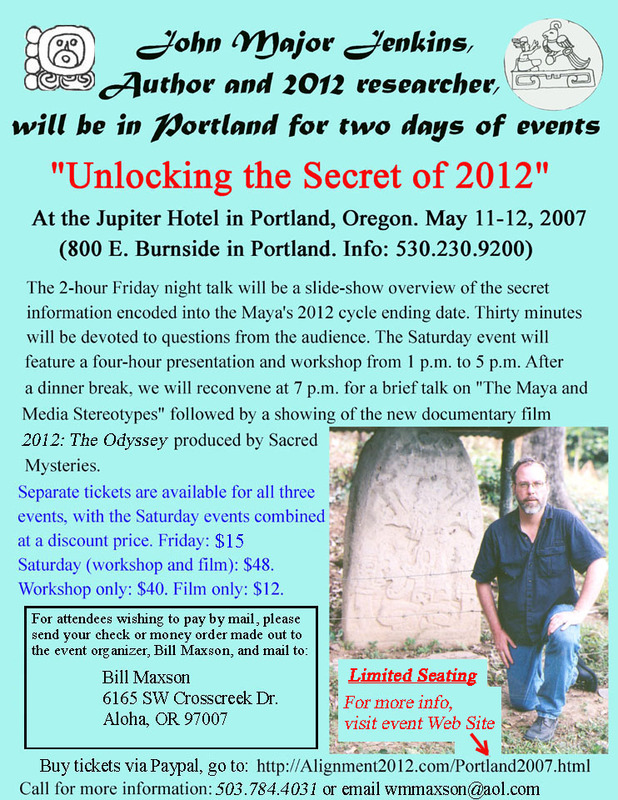 Also, see below for more information on the documentary film 2012: The Odyssey. Separate tickets are available for all three events, with the Saturday events combined at a discount price. Present an ID at the entrance to the event and a ticket will be issued with a sticker denoting the event or events being attended. What is 2012: The Odyssey? Join author Sharron Rose on an adventure into the future. In this feature documentary she travels across the United States speaking to the many experts on this fast approaching prophecy. They help her to reveal the secrets that will unfold before our eyes and shape our future. Featuring noted experts and best-selling authors Jose Arguelles, Gregg Braden, John Major Jenkins, Rick Levine, Terence McKenna, Geoff Stray, Moira Timms, Alberto Villoldo, Jay Weidner, the Inka Elders and more, this film shows us that the coming world is ours to reshape and remake in any way that we deem possible. Sharron Rose also travels to the Georgia Guidestones, Washington D.C., the Denver Airport and many other places to discover that there are numerous groups and secret societies who understand that this present age is ending and a new world is now just beginning.